Though wireless sensor networks are growing in use and adoption, one of the areas where there are not many options is flow measurement. Before getting too excited, let me explain. Yes, the ubiquitous orifice plate is still the most extensively used measurement technique and yes, because it uses a differential pressure (DP) transmitter, which is, of course, available with wireless technology, flow restriction is a viable wireless measurement technique. But it is only one of a broad range of available flow measurement technologies used by industry. We also know (and is evidenced by the range of different flow measurement technologies) there are many arguments to be made that there are better technologies than orifice-based flow, for a wide variety of reasons, including pressure drop and accuracy. So, it’s unfortunate that we are unable to use them as a complete wireless solution. Most other flow measurement technologies require more power than a DP flowmeter. Since power is presently the Achilles’ heel when it comes to wireless sensor networks (WSNs), we have a problem. I see power as the main reason for the limited range of wireless flow measurement options. Other than DP, there are some wireless rotating paddle meters on the market, but these units still require an external (i.e. battery) power source, tend to be focused on the water/utilities industry, and are not using one of the standard WSN protocols, so they generally will not integrate well with other devices in our facilities. Another challenge with certain flowmeters is that some technologies send their signal as a pulse output rather than analog. 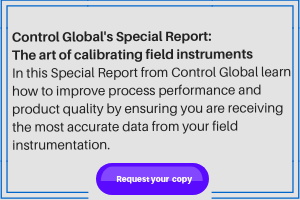 If we are transmitting as a digital signal, this should not be a problem, other than if it is necessary to convert to analog at the receiving end, the receiver must have the capability to manage the pulse-to-flow calibration factor. If the field device is configured to output pulses, then the more logical option would be to digitize the signal at the field end, requiring modification of the device firmware—a necessity anyway to be compliant with the chosen protocol(s). The problem, therefore, returns to one of power, or more accurately, lack thereof. However, there is hope, as I recently learned via an articlei n my smart phone’s newsfeed suggesting that as a result of improvements in energy storage in the next decade, electric vehicles will be lower-cost than combustion-based engines. Whether or not you believe the lifecycle cost analysis of electric vs. combustion, the important part is that applications in the commercial/consumer market such as these will drive the technology. Then, because of the large-scale production, the same developments will be able to transfer to industry, including the automation sector to address our relatively minor energy storage challenge. One option along with better energy storage is to find ways that the sensor can be a source of supplemental power, without negatively affecting the measurement. Flowmeters such as ultrasonic, magnetic or Coriolis, where the meter needs to drive a signal into the fluid and measure a response, are not likely candidates to also supply energy to the signal-generating circuitry. However, measurement techniques that use another form of mechanical energy to generate the sensed signal, such as vortex, turbine, paddle or nutating disc, for example, might be able to use the associated vibration or frequency to at least supplement or reduce the energy draw from the primary energy-storage system. Bearing in mind that the technology being used for micro and nano machines may be transferrable to this challenge and considering I am a chemical engineer, it will take someone more brilliant to see if this is even feasible. What is impossible today may be commonplace tomorrow, largely because of advancements such as we are already seeing in fields such as energy storage. We may be experiencing a shortage of wireless flow measurement options today, however, I am confident that over the next couple of years, a significant number of new choices will be available, thus reducing our flow measurement woes in those difficult to reach and measure locations we all have in our facilities. How can we measure hydrogen for custody transfer? Must we cut into the pipe? Familiarity with the principles makes it easy to find the right instrument. Requirements vary and depend on expectations as well as piping configurations.